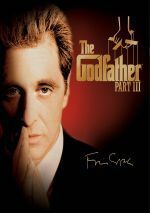 Set in 1979, an aging Don Michael Corleone is striving to legitimize his family investments and secure a peaceful future for his beloved children. But his hothead nephew has different ideas which could put an end to Michael's dreams. In my review of The Phantom Menace, I stated that I felt it was the most highly anticipated film of all-time. Commercially, I don’t think this can be argued; no movie has been so eagerly awaited by so many. However, if I had to pick a flick that labored under the toughest critical standards, it probably would be 1990’s The Godfather Part III. Look at the situation. The first film in the series - 1972’s The Godfather - became an enormous box office hit and it grabbed the Oscar Best Picture award for that year. Although it didn’t take many additional Oscars – of its remaining 10 nominations, Godfather grabbed only Best Actor for Marlon Brando and Best Writing - Godfather has maintained an extraordinarily strong reputation. It now stands second on the most recent AFI Top 100 Movies list. 1974’s Godfather Part II “only” snagged the 32nd spot on that chart, but it actually did better at the Oscars. The perennial favorite among discussions of the very best sequels, Part II earned six awards off its 11 nominations, including another Best Picture plus Best Director for Francis Ford Coppola, a prize that eluded him the first time. That year Bob Fosse won for Cabaret. Imagine that you’re the third son in a family. Your oldest brother was George Washington and the middle brother was Abe Lincoln. Based on that lineage, you’d be subjected to insanely high expectations. Such was the atmosphere that greeted the late 1990 release of The Godfather Part III; whatever merits the movie might boast on its own, it’d have to live up to the examples set by its predecessors. Personally, I think Part III would have been more successful without the Godfather connection. That link set the standard so high that it would be almost impossible to match up to it. Taken on its own, Part III isn’t a terrible film, but when compared to its siblings, its flaws seem much more prominent. III starts in 1979, 20 years after the conclusion of II. When that film ended, Michael Corleone (Al Pacino) was a virtual shell of a man. After years of scheming and killing - all allegedly to further the interests of his family - he found himself almost totally alone and haunted by his actions. By the beginning of Part III, however, Michael seems to have loosened up quite a bit. Apparently he’s taken the family almost fully legitimate in the 20 years between chapters, and as this story commences, Michael receives a high honor from the Catholic Church due to all his charity work. This reunites Michael with his semi-estranged children Anthony (Franc D’Ambrosio) and Mary (Sofia Coppola) as well as his ex-wife Kay (Diane Keaton). We also meet new characters like small-time gang boss Joey Zasa (Joe Mantegna) and Vincent Mancini (Andy Garcia), the illegitimate son of Michael’s dead brother Sonny. Vincent wants a role in the family’s business – its real business, not the namby-pamby “legit” stuff – and develops a loathing for Zasa that motivates his behavior. Essentially Part III follows Michael as he tries to redeem himself through non-criminal business dealings. He attempts to become a partner with the Vatican in a financial interest but soon discovers that the church is more corrupt than the Mafia. When Zasa and others try to off Michael, he gets drawn back into his old violent ways, and Vincent takes an active role in the proceedings as the apparent don in training. Vincent also falls in love with Mary, something that displeases Michael since they’re cousins. I won’t go further with the story because I’d rather avoid any possible spoilers. Suffice it to say that this sucker doesn’t have a happy ending, but that shouldn’t come as a surprise; none of the three movies conclude on a joyous note. It would have seemed artificial and forced to alter that tone for Part III. While I’m happy that director Francis Ford Coppola kept that aspect of the saga intact, he developed enough other alterations to make Part III feel very different from the first two films. The biggest change comes with Michael himself. Same actor, same director, same writers, but this isn’t the same Michael, and I don’t mean that in a good way. I think the character seems almost unrecognizable. For one, I find it hard to buy that he invests himself so strongly in his attempts to go straight. During much of the first two movies, he paid lip service to that concept, but he only became more heavily embroiled in the crime. By the end of Part II, he’d lost everything near and dear; the possibility that Michael would eventually snap out of it appears illogical and inconsistent with the character. 1959’s Michael was a tortured, doomed soul and there was no going back for him. Bizarrely, the Part III Michael makes choices that never would’ve fit the Part II Michael. For instance, at the very start of Part III, we learn that Michael long ago let Kay take care of their kids for their apparent benefit. Huh? I can’t imagine that the Michael of Part II - who completely shut Kay out of his and his kids’ lives - would then rethink things and be so generous and forgiving. The same Michael who had his own brother killed due to transgressions somehow comes to be so beneficent to Kay, the woman he clearly would hate forever after she aborted his child? No way – absolutely no way. Did Coppola and the others just totally forget all aspects of Michael’s character? Pacino plays 1979 Michael in a much more broad and gregarious manner as well. Oh, he seems tired at times, but he comes across as way too peppy and extroverted through much of Part III. For example, a scene in which he takes Kay on a tour of the family hometown in Sicily feels all wrong. I can’t envision even the young and idealistic Michael of the first film behaving in this way, much less the worn-out old man. By 1990, Pacino had become a much louder and showy actor than he’d been in the Seventies, and that makes all the difference here. It hurts the film, for I never feel like this guy even vaguely relates to the Michael I watched earlier. In the “good acting” category, Garcia stands pretty much alone. He brings much-needed spark and fire to Vincent, and he largely keeps him from seeming like a stereotype or cliché. No, he isn’t as full-blooded and real as the characters seen in the first two movies, but beggars can’t be choosers, and when compared to the rest of the performances in Part III, Garcia’s Oscar nomination makes even more sense. Mantegna overacts relentlessly as Zasa, but he’s not the worst offender. I most dislike the cheesy, ham-fisted performance offered by Eli Wallach as family friend Don Altobello. Wallach really goes over the top in the role and his presence makes me cringe. Note that I’ve failed to mention the worst performance in Part III, Sofia Coppola’s legendarily bad turn as Mary. Yes, she really does as poorly as you’ve heard. I think she’s cute, but she can’t act her way out of the proverbial paper bag. Sofia was the Linda McCartney of Part III. Linda was a talented photographer, but she demonstrated limited musical skills. Nonetheless, her husband Paul wanted her around, so he put her in Wings with him. She did her best, but that was never too hot. The same goes for Sofia in Part III. I’m sure Sofia tried her best, but she was stuck in a bad situation and lacked the skills to overcome the circumstances. She’s shown herself to be a talented filmmaker but that doesn’t somehow forgive her abysmal performance here. Her inability to convincingly portray any form of life, depth or emotion leaves a large hole in the film. Even with better performances, Part III would remain an unworthy successor to Godfather and Godfather II, largely because of the character inconsistencies seen in Michael. A continuation of his story as seen in Part II was unnecessary; we knew this was a miserable man who would continue to pay for his sins. Part III’s alteration of that path seems illogical and almost insulting, and the manner in which it reminds us that we can’t escape our pasts feels patronizing. I also dislike the film’s attempted irony. I suppose it’s meant to be shocking that Michael encounters so much corruption as he walks through the Catholic ranks, but this “revelation” simply feels forced and artificial. Ultimately it comes across as a cheap attempt at depth that goes nowhere. It doesn’t help that the film seems to be sloppily researched. Part III takes place in 1979, but it involves the deaths of Pope Paul VI and John Paul I. Both died in 1978. I didn’t need to research that fact - I remembered it, even though I was just a kid at the time. No one associated with Part III was aware that they used the wrong date? Perhaps they changed the year to distance the film from reality. After all, the tale implies some nasty things about Paul VI, and maybe the alteration of date attempted to take the movie more into the realm of fiction. However, that makes no sense; if Coppola wanted to do this, he shouldn’t have used the names of real popes. Make up some names and we won’t view the story as being reality-based at all. Hmm… As I started this review, I stated that I didn’t think The Godfather Part III was a terrible film. That’s true, I suppose, as even with all its flaws, it still maintained a fairly interesting experience. Nonetheless, it’s not one about which I can conjure too many positive things to say. Sometimes when I write a review, I realize that I liked the movie in question more than I initially thought. Such was the case with Citizen Kane. When I screened it, I wasn’t that hot on it, but when forced to coalesce my thoughts for the article, I recognized how many strengths it offered. The opposite becomes true for The Godfather Part III. The more I ponder it, the more problems I remember and the less I care for it. I could keep going and provide more defects in the film, but I’ll leave it alone. Suffice it to say that the Godfather saga should have stopped with Part II. 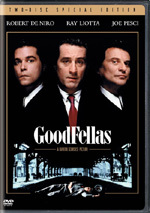 The Godfather Part III appears in an aspect ratio of approximately 1.85:1 on this Blu-ray Disc. The transfer provided a decent but not often impressive visual presentation. Sharpness was the main concern. While some scenes demonstrated nice clarity, others came across as a bit soft and bland. These instances cropped up without much logic; they tended toward wide shots, but not with great consistency. Overall definition was fine, but the image sometimes lacked the tightness I expect of Blu-ray. Moiré effects and jagged edges caused no noticeable concerns, and I noticed no edge enhancement. Source flaws were inconsequential. I saw a handful of small specks but that was it. As was the case with the first two movies, Part III maintained a golden tone. As such, it offered a restricted palette, and very few bright or vivid hues appeared. When appropriate, the colors looked solid, and they came across as accurate and concise as a whole. Black levels were reasonably deep and dark, and shadow detail looked appropriately clear but not excessively opaque. The softness and source defects knocked this one down to “B-” level; it’s not a bad transfer, but it came as a disappointment after the surprisingly strong visuals of the first two Blu-rays. All three of the Godfather films offered Dolby TrueHD 5.1 soundtracks remixed from the original material. However, the first two worked from monaural stems, whereas Part III reconfigured a mix that already provided multichannel sound; during its 1990 theatrical run, Part III used a Dolby Surround track. As such, it should have given us the strongest auditory experience, and it lived up to those expectations via this good mix. For the most part, the soundfield remained oriented toward the front speakers. There the music showed decent stereo separation, and a variety of elements cropped up from the side channels. These blended well and created a good layer of atmosphere. The surrounds contributed mild punch at times – such as during a helicopter attack scene or an opera sequence – but usually they stayed fairly subdued and focused on reinforcement of the forward spectrum. Nonetheless, they did what they needed to do and gave the audio a good sense of place. Audio quality held up well after the last 20-plus years. Speech sounded natural and concise, without edginess or other distractions. Music displayed nice range and vibrancy, as the score appeared full and rich. Effects also demonstrated solid definition. Those elements showed good accuracy and packed a decent punch when necessary, such as during the more violent sequences. All in all, this was a consistently positive auditory experience. How did the picture and audio of this Blu-ray compare to those of the 2008 DVD release? The audio seemed pretty similar. I didn’t sense that the lossless track added much to the presentation. While superior, the Blu-ray of Part III didn’t impress much beyond what I saw on the DVD. I thought the first two movies looked substantially stronger on Blu-ray, but this one tended to bring out the problems with the source. In particular, softness appeared more prominent here, as the lower resolution of DVD hid those concerns better. The Blu-ray did look better than the DVD, but it wasn’t a big step up in quality. Only one extra appears here: the same audio commentary from director Francis Ford Coppola that appeared on the prior releases. Once again, the director provides a running, fairly screen-specific affair. I enjoyed his discussions of the prior two films, and he adds another largely compelling piece for III, though I admit I find it to be the least interesting of the three. Part of that stems from my general lack of enthusiasm for the movie, but I’ve been entertained by commentaries that accompanied other flicks I hated, so that factor doesn’t explain the apparent decline. Instead, I think this commentary is less satisfying because Coppola seems to be on the defensive much of the time. The reception accorded III appeared to leave him somewhat bitter, especially due to the criticism leveled at his daughter Sofia. Coppola seems to feel she did a good job; he frequently defends her during the track and appears to believe that people slammed her as an indirect attack on him. I think he’s wrong, but his affection for Sofia offers some of the commentary’s most touching moments, such as when he chokes up a little because her character cried. The track for Part III probably suffers from a few more empty gaps than I heard during the first two films, but once again, I don’t mind these terribly; due to the length of the movie, it’s almost inevitable that some blank spots would occur. Overall, Coppola provides a reasonable amount of interesting information about Part III, but I feel the details lack appropriate depth. For example, he addresses some of the issues I discuss during my review, such as the differences in Michael’s character. However, he makes it sound as though he changed the tone and the role for no particular reason; I don’t get a real feel for the cause behind the shift. Perhaps there was no reason other than a desire to do things differently. Coppola seems generally unenthused about Part III as a whole, and his remarks leave me with the impression he did the film mainly for the money and the increased exposure. His stature had declined badly through the Eighties, and he needed something to spark his presence again. As a guaranteed “A”-list project, a new Godfather film did that, but it felt like his heart wasn’t really in it; he even mentioned the peculiar form of hell that comes with continually being asked to remake the same movie. As such, many of the film’s changes appeared to come just for the sake of change, and Coppola doesn’t do much to justify them here. Ultimately, the commentary seems good but not great, and I definitely prefer the tracks that accompany the earlier films. While not a bad film per se, The Godfather Part III really doesn’t deserve to be mentioned in the same breath as its two predecessors. From some poor acting to a contrived plot, weak dialogue, and a myriad of other concerns, Part III remained reasonably interesting for the most part, but it failed to even remotely approach the levels achieved by the earlier classics. The disc offered positive audio plus a fairly good audio commentary from director Coppola but visuals were less concise than expected. The Godfather Part III is a film I’ll likely revisit occasionally out of curiosity, but I doubt I’ll ever care much for it, as it doesn’t provide a strong conclusion to the Corleone saga. It’s the weakest film – and the weakest Blu-ray – of the series.